If someone is taking your vehicle apart for an up-fit, wouldn’t you want to ensure that everything is being properly reinstalled? As a Qualified Vehicle Modifier (QVM), we ensure that when we take your vehicle apart for an up-fit, we follow the exact same standards that the manufacturer does to put it back together! This QVM program is a collaborative effort between Ford and Crown to help continuously improve the quality of conversions and to ensure we meet the same high standards as the manufacturer. 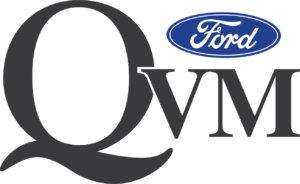 You can also have the peace of mind knowing that QVM conversions are provided with an extended limited warranty from Ford on all major components. and Canadian Motor Vehicle Safety Standards (CMVSS). Conformance with all Ford industry guidelines for vehicle conversions. As a QVM, we provide a seamless installation between us and the manufacturer. You won’t know where the factory work stopped and where we began!